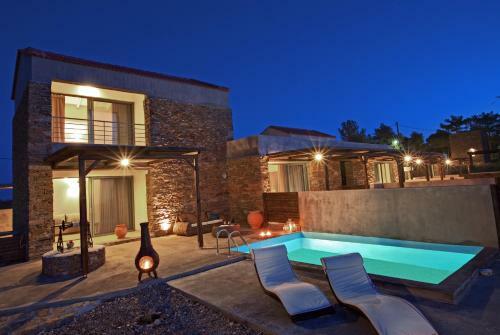 Gerakari Suites is located in Agia Pelagia, Kythira. The hotel common facilities include bar, garden	and outdoor pool. The property accommodates visitors in family room, honeymoon suite, junior suite and other might be available upon request. The rooms provide sea view, pool view, mountain view and garden view. Room amenities include air-conditioning, heating, fridge, etc. In the bathroom there are hairdryer and free toiletries.